Enter Feed URL. What URL you ask? Go to your control panel or one of your recent tour control panels and look for the “View All My Tours” link (you must have more than 1 tour) The link will not be there if you have less than 1. Select the one that says it’s an RSS feed. Add this URL into TwitterFeed to end Step 1. Select service you want to Feed. Twitter, Facebook. Add another service if you like. That’s it! All of your tours will now post to Facebook and/or twitter. It’s been an AWESOME several months we’ve had promoting Sphero in Columbia! There have been a ton of ups and downs and 2 definitive moments when I nearly gave up because of a lack of interest. It literally took 45 days of cold calling and 5 office meetings before I sold my first tour but thanks to a few different clients who took a chance on me, our tiny business is growing! We have started being a go to for many of the top agents in this market and we are so grateful to everyone who has believed in us! We have been growing at such a pace that it’s been hard to keep up and we’ve done a lot of learning along the way. There are several changes we need to make to keep up with the demand! Beginning April 1st, we will be starting our new pricing schedule. One big change is that a standard tour will be $199 but it will now include homes up to 3,000 square feet! Also, to simplify things, for every 1,000 square feet above that, there will be a $50 surcharge. We also need to adjust our turnaround time. I hate to make a promise I can’t keep so we are expanding our turn to less than 48 hours. Our goal is still 24 hours from the end of the shoot to your proof but our guarantee is 48 hours. We are also now offering a “Personal Assistant” package which will include, photos, room measurements and square footage calculation. 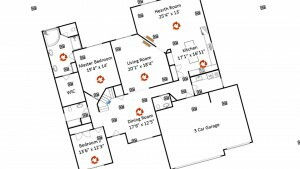 All for just $99 for homes up to 2,000 square feet. 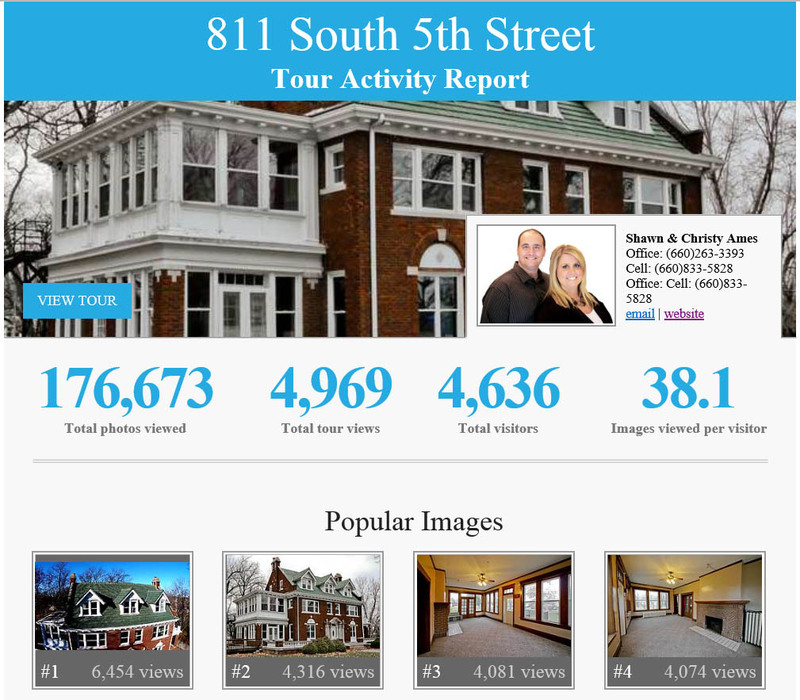 This package is great for listings that don’t require a full interactive floor plan but still deserve stunning photography and time saving services that top agents need. 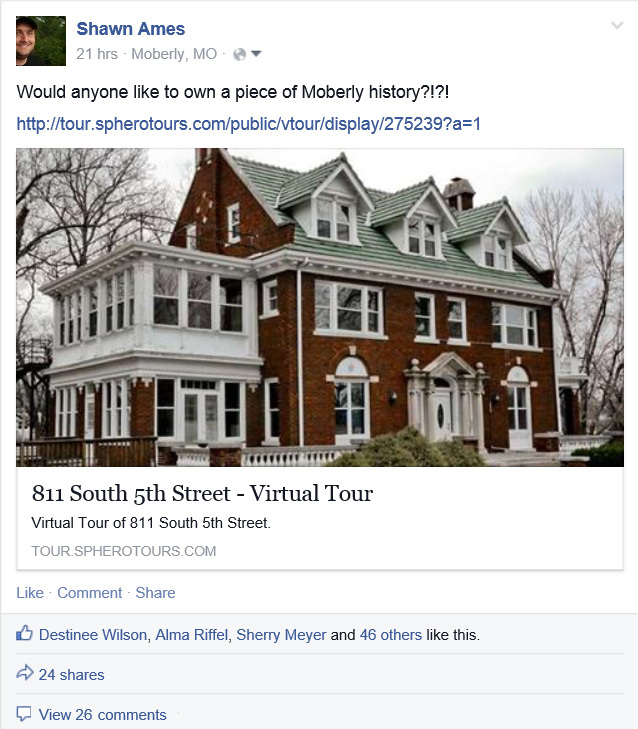 Sphero is a virtual tour company based in mid Missouri that offers interactive floor plan virtual tours for real estate. We are a creative & technology company with a niche emphasis in a multi BILLION dollar industry. We are looking to add a Columbia based member to our team. Flexible schedule makes it ideal for college students looking for extra income. Expect around 10 hours per week with the potential for much more. This is an entry level position but we are dedicated to finding the perfect addition to our team with a keen eye for detail and a passionate desire to learn. We can provide detailed training, equipment and the ability to earn $15-$20 per hour on a part time basis. 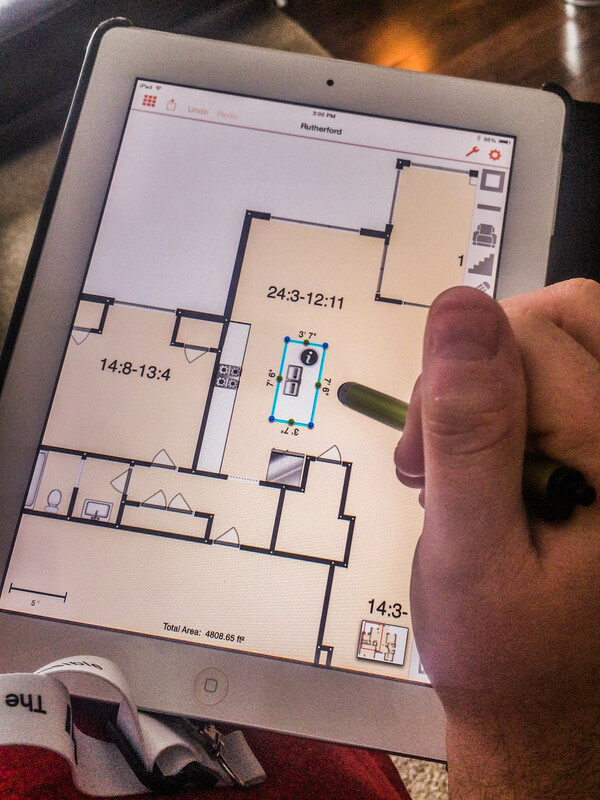 You would join another team member in measuring and drawing homes in software, cataloging room sizes, and calculating square footage. We also shoot high quality photography of homes listed for sale so an interest in photography would be a great bonus. We will also be reentering the aerial photography business as soon as the FAA finalizes their rules for commercial use of sUAS. We’ve been hitting the streets over the past couple months and we have now done 24 tours between Columbia and Jeff City. We did our first tour in Columbia back toward the end of November and several of the homes with our tours are already under contract! Take the power of Sphero with you to your next listing presentation and position yourself as an innovator in Boone County Real Estate! At first, you might think it looks cool, almost like a painting but if you think about it, the best realism paintings mimic photos. 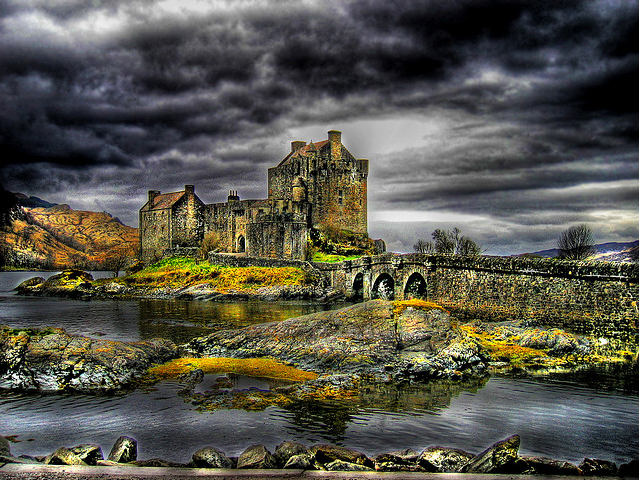 Purposefully making a photo look like a painting is really ruining a photo. The low lights and the highlights are what our brains use in a 2d image to assess depth and even identify the “focal point”. You don’t want someone’s eyes drawn to the clouds in the photo of the house you want to sell. You want them to see the house. Like anything though, something you are not used to seeing will draw peoples attention but beware, HDR is proven to cause viewer fatigue. At Sphero we “touch” every photo. Not only do we make sure that every photo we take is composed and exposed properly in camera, we also use the software Lightroom to maximize the visual impact of every photo we take. Many times we do adjust or increase the dynamic range in a photo but we try to make the photo look as naturally awesome as possible. Dynamic Range is a very good thing in photography but many of the examples of HDR you see in Real Estate prove that there can be too much of a good thing! I have hesitated to speak publically about the commercial use of UAVs out of fear that the FAA will target me or attempt to fine my business. However, I have drafted the attached letter and I have tagged the state and congressional representatives for our area in my social media postings about this post. I would love the opportunity to speak to any one of you about what I do and what your stance is. This issue will be a prime example of how you support small business. Thank you for taking the time to read this letter and please let me know if we can talk. Hello, my name is Shawn Ames. I am a business owner that operates in your district. My wife and I are both licensed Realtors but I also have a business that does virtual home tours for real estate. My business which is called, “Sphero Tours” is in its infancy but I hope to bring our services to markets across our state and eventually our region. One aspect of our business that I eventually would like to grow is the use of UAVs for aerial photography and video work. I currently offer these services to my clients since there is currently no law prohibiting it. There is a lot of talk about restrictions and laws which could cripple that part of my business before it even gets started. Currently there are only rules that apply to a hobbyist’s use of a UAV and I am one that agrees that we need guidelines and restrictions. I urge those tasked with the responsibility to represent me to make sure that the restrictions and regulations that will be imposed don’t create a “barrier of entry” so great it blocks entrepreneurs like me. Although I doubt the speculation, resent reports are being interpreted as if the FAA will require a full private pilot’s license to operate a UAV of any kind commercially. Not all of these UAVs are as scary as the media makes them out to be. I like the idea of reasonable restrictions for hobbyist as well as a licensing requirement for commercial use (however, not a full pilot’s license). It is imperative that there are different classifications for different type, weight and use of UAVs. Not all UAVs are created equal. The one I have and use to photograph real estate only weighs around 7 pounds and it has a range of 1500 feet with tons of safety features such as return to home. If the battery gets too low or if the UAV loses contact with the controller, it will return to where it took off and land itself. Prohibit and reasonably define “reckless use” of a UAV. Thank you for your service and representation! I’d be more than willing to speak to you about any of these issues. Your support is greatly appreciated! I’ve mentioned before, the mansion Christy and I listed last week. 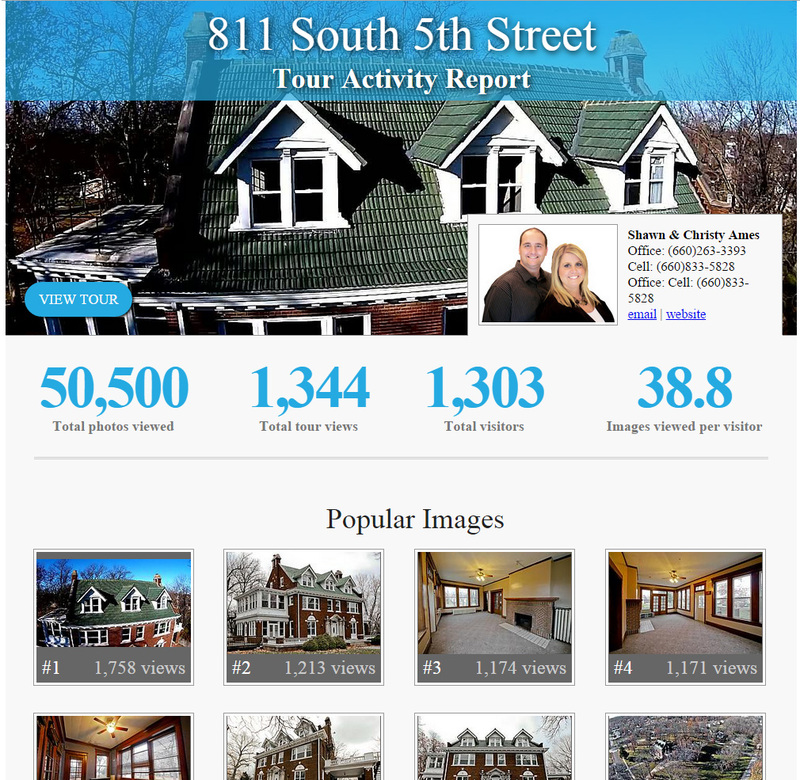 The response to the virtual tour has been amazing, our tour has been accessed nearly 4,000 times in just 1 week and it was shared on www.OldHouseDreams.com where the listing has had OVER 6,000 facebook interactions! This was all done with ORGANIC (aka FREE) social media exposure. We simply shared it on facebook on both our sphero page, our personal page and pinned it on pinterest. This isn’t typical but it was a perfect storm of excellence that got these results. 1. First of all, this home is interesting. Locals (who saw our initial social shares) have always been aware of the large home and loved the opportunity to look inside. 2. We took special care to build a tour that represented the home thoroughly and magnified the stature and charm of the mansion. 3. The visual representation of the home prompted the “locals” to share the home with their circle of influence and so on until it’s had an international impact. 4. Once we noticed the listing had been shared on public facebook pages and sites, I took the time to interact with those dreaming about the potential of the home which gave us, the listing agents, “nice guy” credit and lead to even more shares. “Man, I love those interactive floor plans too. 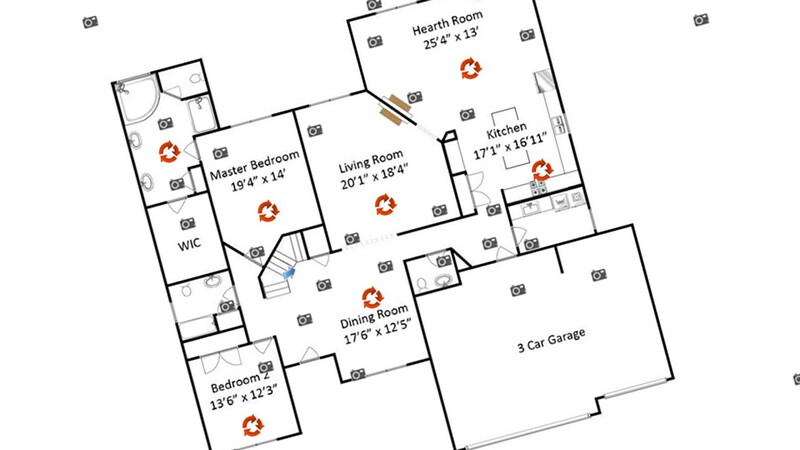 Besides just being awesome, just having any floor plans is a HUGE bonus, and actually having realistic plans is over the top. Throw in the photo links with locations and it is super cool. I have seen that before, but not done nearly quite this well. I like that the photos are next to the plans so you can see both at the same time. Not pop up windows or on the page kind of thing. You should sell your services! Most agents could definitely use the help. The houses where I live (San Francisco Bay Area) basically sell themselves, so a lot of sellers and agents here are basically lazy, and quite frankly not always the sharpest sticks around. When just about any piece of complete garage around here can sell for $500K+ you figure they would put some effort into it for the fees they get. But they don’t even bother for the most part. A couple of crappy photos and a broken map link and they call it good enough. Speaking from the perspective of an architect, it is surprising how poor most real estate agents are at visual marketing skills considering their job is to sell a house. You would think on average they would be a lot better at it. But as you and your listing demonstrates, clearly there is a lot of room for improvement from your typical fellow agents, even on listings with not huge asking prices. This is a special kind of house that will eventually sell itself to the right buyer, not just any average buyer who might be in the local market and happen to come across the listing or know if it anyway. But, it will only sell if those right buyers can come across the information. And having a listing like this is a great way to get that info. out in an appealing way to as many people across the net as possible. This kind of house, like many on this site, need a wide net to find the right buyer. The old sign out on the street just isn’t likely to solve the problem like it use to be able to. My only suggestion (and this is not a criticism of your listing by any means), but for a unique old house like this, if I were the seller or agent, I would also try to clearly list and show all of the major faults of the house up front and with photos as much as possible. Being into old homes, like old cars, it is understood that many come with age related issues. 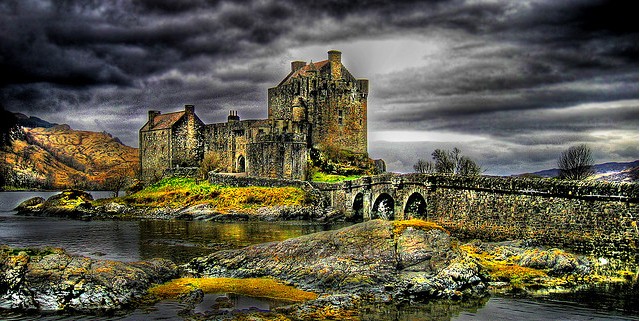 No one really expects an old house to be perfect. One first thought when seeing a listing is what is wrong with a house that needs fixing or attention. Knowing that up front for a house like this probably will give a potential buyer a lot more confidence to go for it. I know it would for me. And that kind of information is going to be revealed at some point. I think it is better to reveal it right up front. It could also serve to weed out buyers that might otherwise waste a lot of an agent’s time getting to that. As I am sure you know, you can always provide the negative disclosure information, but have a buyer sign an agreement that they are responsible for their own inspections and your information is only provided for courtesy and not implied to be complete or 100% accurate. That way a buyer can’t come back later and say you missed or misrepresented something if they find something else after a sale. I know that’s a long comment but I didn’t want to leave out the criticism. I’m not one that apologizes for making listings look better than they are in real life. I don’t photoshop any of our photos, rather we focus on the positive aspects of any home. Think of it like a dating site, would you fault someone for using a good photo of themselves rather than a photo of when they were up all night and had the flu. Breaking into our second market (Columbia, MO) has been a challenge but I am very excited about how it is progressing. We’ve done 3 homes for www.BeaconStreetProperties.com and I’m working toward doing a listing for Linda Lou Brown from House of Brokers in Columbia as well as a large listing for an agent at Century 21 Advantage in Columbia. Compared to what we’ve accomplished in Moberly’s market, we believe there is a capacity in Boone county for 15 tours a week. My goal is to be at an average of 5 tours a week by May of 2015. I appreciate your continued support. Yesterday, Christy and I listed a 100 year old mansion (my wife is a full time realtor and I am bi-vocational, selling real estate in Randolph County and running Sphero). As a part of our listing strategy we built a Sphero Tour for the listing and shared the tour strategically on social media. We did no actual paid ads but shared the link on 1 old home thread, the sphero facebook page (which we do for ALL tours) as well on my personal page. Click “Order” at the top of this page to get your listing SEEN!